The history of Curtin Springs and the Severin family. The pastoral and tourism industries have varied and interesting stories to tell of the early years. The history of Curtin Springs stradles across both industries. Like many Central Australian cattle stations, Curtin Springs saw many changes in the early years. The land at Curtin Springs was first taken up by Paddy DeConnley in the 1930’s with a stock of sheep, and was known as Mt Conner Station. In 1940 it was leased to Abraham Andrews, who wanted to call the property ‘Stalin Springs’ after Joseph Stalin of Russia. Because his sons objected, it became known as ‘Curtin Springs’ after the late Honourable John Curtin, the then Prime Minister of Australia. In 1956, Peter Severin arrived with his young wife Dawn, their toddler son Ashley and 1500 head of cattle. Peter’s brother Rollo and his family also arrived, but left very shortly afterwards. They arrived in a Vanguard and a Bedford truck full of supplies and all their worldly possessions. At that point the station was 500 square miles then. Family folklore says that after explaining to his young wife that this was where they were going to live, after which she replied, “Boy…I’ve got news for you and it’s all bad”. Life was very basic, wood stoves for cooking and hot water – all year round. A tin room next to the Bough Shed housed the stove and kitchen area. In that first year just six people drove past Curtin Springs while the second year saw a 50% increase – 9 people came to visit! For the first three years home was under the Bough Shed. Today it provides a dining area and a cool place for visitors to rest. 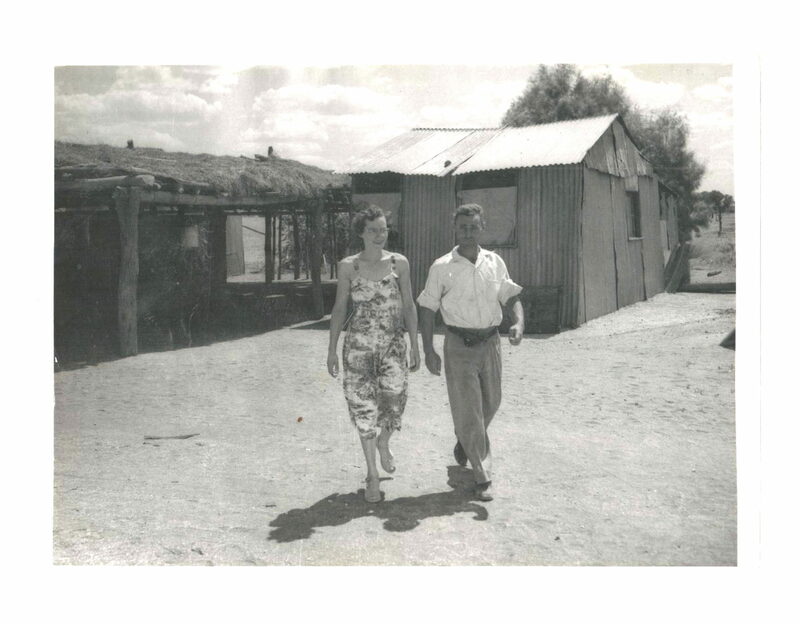 In the late 1950’s pioneering tourist companies began the first tours to Ayers Rock. As a result, we began the endless batches of scones and cups of tea served to the tourists. Also, our cattle numbers and management methods changed over the years, as did the tourist facilities at the Wayside Inn. Curtin Springs is the place it is today, as a result of a lot of hard work, heartache, tears and joy and thousands of visitors. Curtin Springs is over one million acres in size. Furthermore, it stands as a testament to the passion and commitment Peter, Ashley and Lyndee Severin have made to the pastoral and tourism industries of Central Australia. 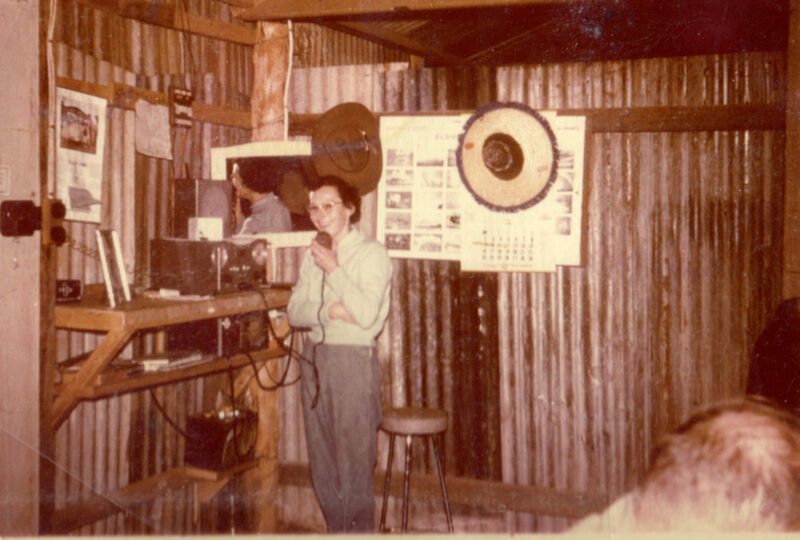 We hope that you enjoy our story and a little glimpse of the history of Curtin Springs. 1959-60 A small grocery store was started. Dawn Severin began serving morning and afternoon cups of tea and scones. Curtin Springs was the first tourist stop developed outside of Alice Springs. 1961 Lowest rainfall on record - 2 inches.